Every year the Paul “Bear” Bryant Award is awarded to the coach of the year. The award also helps raise money for The American Heart Association to help fight heart disease and stroke. 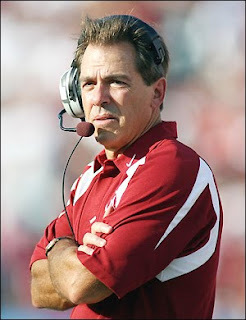 Saban was named a finalist last year and won the award at LSU in 2003. The winner will be announced on January 14th.